‘- Over five million Brits regularly confide in their cats and dogs. – One in five (20 per cent) of pet owners speak to their animals for over one hour every day. 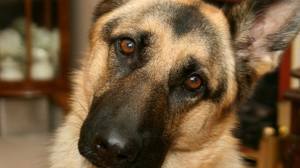 – Nearly a quarter (24 per cent) talk to their pets more than their partners. – 85 per cent frequently speak about work, relationships and financial worries. – One in eight has even rehearsed their wedding vows in front of their furry friends. They say a problem shared is a problem halved, and when there’s something on your mind it’s normally friends and family who are called on first to lend a sympathetic ear. However, it would seem that for over five million (59 per cent) people in the UK today, cats and dogs are their very first confidant. There are untold therapeutic benefits in having a companion who will listen quietly to all your problems without a disagreement or a bad word in return. I would suspect that the dogs are getting longer un-interrupted conversation time then any other members in those dog owners’ families.